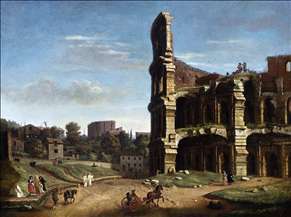 Dutch painter, known in Italy as Gaspare Vanvitelli. 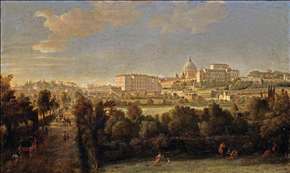 He received his first training at Amersfoort, Holland, although he was in Rome by the time of the Jubilee of 1675. 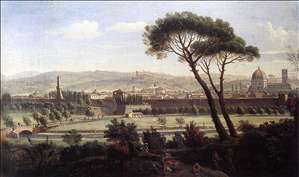 He worked as a draughtsman on a scheme for regulating the Tiber and this probably gave him the idea of making large and very accurate topographical drawings which could be worked up into vedute ; he therefore be the link between Dutch topographical painters like van der Heyden and later Italian vedutisti . 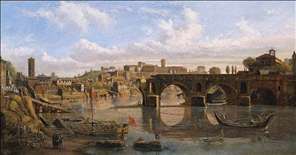 He is now recognized as an extremely important forerunner of painters like Carlevaris, Canaletto and Pannini, since there are dated Roman vedute by him of 1681. 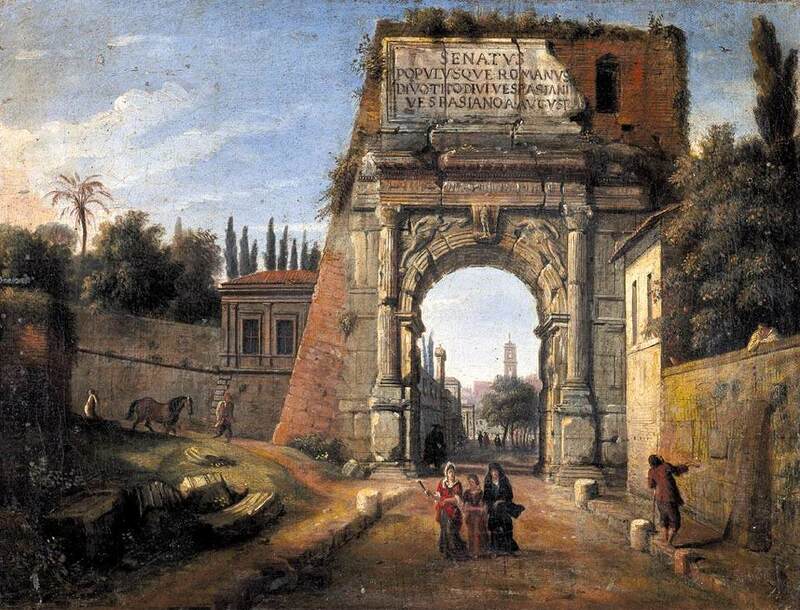 He went to Venice in the 1690s and there is a dated veduta of 1697 (Prado, Madrid), which antedates Carlevaris. 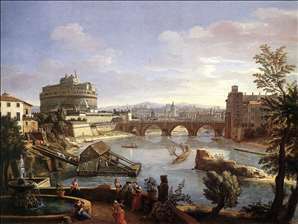 He was in Naples in 1700, when his son Luigi, later the great Neapolitan architect, was born. He spent his last years in Naples and Rome, where he died. He was nicknamed Gaspare degli Occhiali (Gaspar with the spectacles) from at least 1712, and his short sight may have prevented his working after c. 1730. Old sale-catalogues often refer to e.g. Two landskip by Ochiali . See more details about "The St Peter's in Rome"
See more details about "The Castel Sant'Angelo from the South"
See more details about "View of the Piazza del Popolo, Rome"
See more details about "Rome: View of the River Tiber with the Ponte Rotto and the Aventine Hill"
See more details about "Rome: View of St Peter's and the Vatican Seen from Prati Di Castello"
See more details about "Rome: View of the Arch of Titus"
See more details about "Rome: A View of The Colosseum"
See more details about "View of Florence from the Via Bolognese"
See more details about "Villa Aldobrandini at Frascati"
See more details about "View of Naples"